The profession would like to congratulate you on your appointment to the post of Chief Dental Officer. As someone with a reputation for professional change management, then your appointment is seen as a welcome one by many. 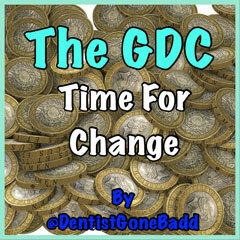 The profession has not recently been blessed with a CDO who it can feel it truly relates to, and many may feel that the last few years have been detrimental to the quality of dental care available in the United Kingdom. Whilst the position of CDO will always be to do the will of its paymaster, Her Majesty’s Government, I am sure you will continually keep your professional responsibility to the profession at the forefront of your mind. At a time of unprecedented change and pressure within the profession, you will have the opportunity to rebuild the bridges that have been lost over the years. One of the ways of doing this would be to listen very closely to the concerns of the profession, and most importantly do not be afraid to tell the truth of the problems we are experiencing. After all, you are a member of our profession first and foremost, and what is bad for the profession is bad for patient care. A New NHS contract will no doubt be a priority; but in whatever incarnation this takes, it needs complete and total clarity as to what treatment is available for patients under the rules. There should be no room for abuse by those who use a lack of definition to perpetuate the problems of the current system. Contract negotiations based on honesty are a must; and if the government cannot afford what it wants, then it should be told in no uncertain terms that this is impossible to achieve. Not only do our representatives the BDA have this responsibility, but so do you. Only by listening to and working with the profession in a fully engaged and mutually respectful manner can this be secured. If this means a core service for the NHS, or a new way of thinking that benefits both patients and teams alike then it should be piloted properly and not forced on the profession in the manner it has before; please don’t forget that the success of dental care depends on those delivering it. You have a track record in delivering high quality change within a budget; but do not underestimate the suspicion of the profession as to how government will treat them. The inequities of dental care must be addressed; and the continued lack of a joined up policy on dental health in the nation is still something that makes dentistry a poor cousin to other health issues. When dental problems are the number one cause of admission to hospital for children, can nobody actually see it would be cheaper to fight the problem at source rather than wait until the problem occurs? There would be no better long term legacy for a CDO than to have truly changed the face of dental health in the UK for the better. A public face of the profession that is prepared to stand up for the patient and not hide behind government spin and empty promises is what the profession requires if faith in the position of CDO is to be renewed. A clear message is what the public need. The situation with our young practitioners having to play some kind of bizarre lottery to gain a job on graduation is another aspect of the profession that you must turn your attention to. At the very beginning of their careers, we have an increasing number of them considering whether or not they have made the right choice for their futures; and by association this is the future of the profession too. Whilst part of this lack of morale lies at the door of our failing regulator, to then heap on the uncertainty of a tiering system will eventually result in the profession being devoid of is youngest talent, without which it will wither. So, as you approach the start of your tenure as CDO, the profession can only really ask one thing of you. Image credit - Jason Dean under CC licence - not modified.